Blog | Page 6 | DJL Accounting and Consulting Group, Inc. 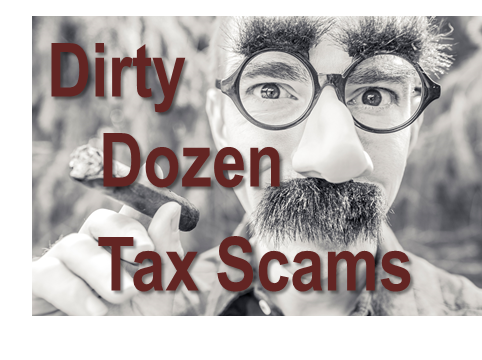 The Internal Revenue Service today wrapped up its annual "Dirty Dozen" list of tax scams. Taxpayers need to guard against any ploys to steal their personal information, scam them out of money or talk them into engaging in questionable behavior with their taxes. During the past year, as part of the Security Summit initiative, the IRS partnered with states and the tax industry to enhance coordination and create a more secure system for taxpayers. Participants now regularly share details of fraudulent schemes detected so both industry and government can provide increased protection. Many enhancements are invisible to taxpayers. You will receive Form 1095-B - which is a new form this year – from your health insurance provider if you had insurance for you or your family members. The term “health insurance providers” includes insurance companies, some self-insured employers, and government agencies that run Medicare, Medicaid or CHIP. You are likely to get more than one form if: You had coverage from more than one provider, you changed coverage or employers during the year, or if different members of your family received coverage from different providers. You Received A Form 1095-A . . . Now What? Did you receive form 1095-A and are wondering what to do with it? Form 1095-A, Health Insurance Marketplace Statement, provides you with information about your health care coverage if you or someone in your family enrolled in coverage through the Health Insurance Marketplace. 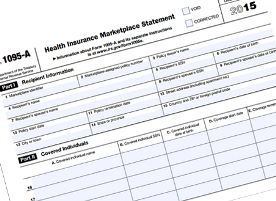 Most individuals did not enroll in Marketplace coverage and will not receive this form. The Marketplace may send you more than one Form 1095-A if any of these apply: Members of your household were not all enrolled in the same health plan, you updated your family information during the year, you switched plans during the year, or you had family members enrolled in different states. The form is not new, but some people may receive it for the first time this year. Read more about You Received A Form 1095-A . . . Now What?